Waldron & Schneider is experienced in matters of probate including all aspects of admission of wills to probate, will contests, trusts, power of attorney, guardianships, claims and claim litigation and representation as attorney ad litem. The firm has an active probate docket in Harris, Galveston and Brazoria County courts and provides its clients with knowledgeable, caring and personal representation in a variety of probate matters. Remember, that one of the goals of planning your estate is to avoid the troubles of probate when an estate plan isn’t properly executed or completed. The purpose of the process isn’t to be morbid but to alleviate as much stress on the families as possible when it comes to the loss of a loved one and dealing with the assets that are left behind. 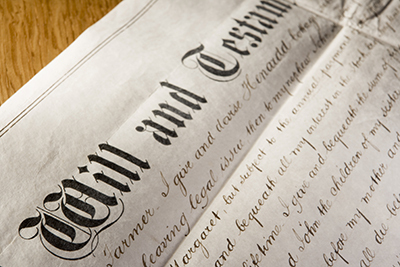 There are several options such as wills or livings trusts so it would be best to bring your concerns to an estate attorney who can help you make the best decision for you, your assets and your loved ones. The Waldron & Schneider Attorneys for your Will and Estate needs are Marc Schneider and Kimberly Bartley while Randy Ashby and Vanessa J. Solis-Maduzia are ready and able to take care of any of your probate needs. Be sure to check out our FAQ’s about wills and probate and our forms section which will direct you to a Will Fact Sheet, both under our Resources section. If you would like further information or would like to speak with an attorney about an estate planning issue, more specifically your will or probate concerns, feel free to complete our contact form, stop by our office on Middlebrook Drive in Houston, Texas, or call us (281) 488-4438. We look forward to hearing from you and getting your affairs in order to alleviate further stressors for your family and loved ones.